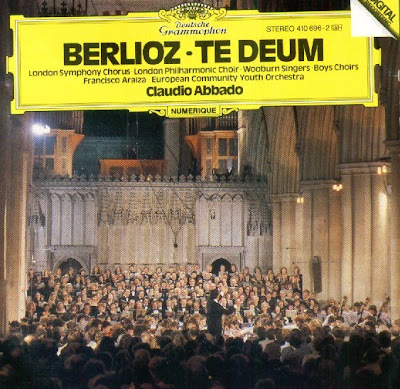 Berlioz's Te Deum is the most mature of his great 'architectural' works, following the Requiem (1837) and Symphonie funèbre et triomphale (1840). It was completed in 1849, but its origins are earlier; it is probably the crystallization of a long-standing intention to write a militaristic piece in celebration of the great Napoleon, planned in the early 1830s. The conception was precisely enough formed for Berlioz to announce it, in a catalogue dated 1846, as an 'unpublished work', for 'two choruses and large orchestra'. It was ready in plenty of time for the second Empire, but 'Napoléon le petit' consistently ignored the greatest composer of his realm, and the ideal occasion, his Coronation, passed it by. The Te Deum had to wait until 1855 for the only complete performance Berlioz heard. The splendid setting was the Paris church of St. Eustache; the more prosaic excuse the opening of the Industrial Exhibition. At the 1855 performance, which was a huge success (except financially), there were 950 performers, Berlioz told Liszt it was colossal, Babylonian, Ninivite. There were originally two instrumental movements. 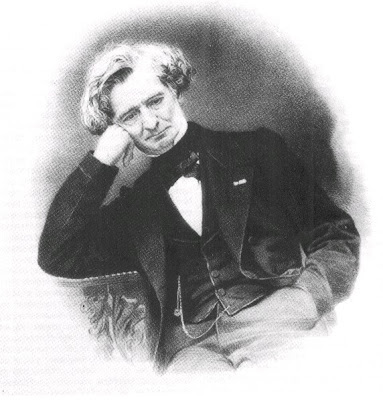 Berlioz omitted the 'Prelude' to 'Dignare Domine' before 1855. The 'Marche for the presentation of flags' which follows the 'Judex Crederis' in the score is more suited to military pageantry than modern oratorio-like performance. 'Judex Crederis' is surely Berlioz's most colossal movement, a fugue with entries rising a semitone, ambiguous in key, magnificently developed, and alternating with a tender prayer (Salvum Fac Populum) which settles into an impressive ostinato. The vision of Judgement seems more terrible at every reprise, but finally confidence in redemption is restored and the movement ends in a blaze of light. The CD was released by Deutsche Grammophone, P 1982, (Digital Recording). Deutsche Grammophon 410696-2.